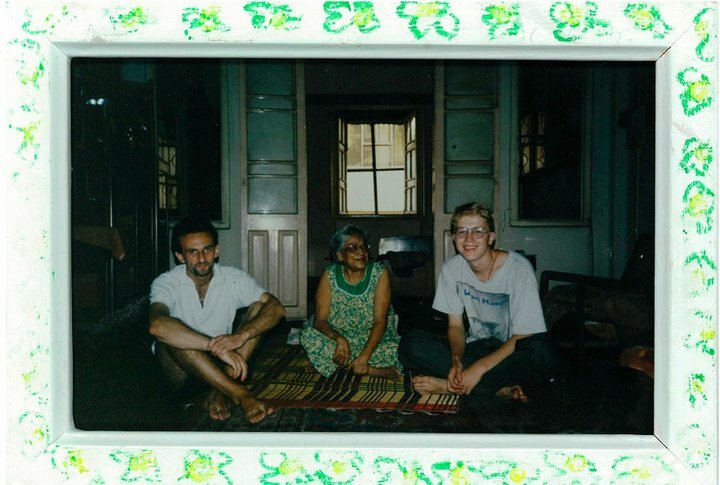 Angelo, Susama (or more formal: professor Chatterjee) and me in prof. Chatterjee’s apartment; Wood Street 10 – an Victiorian townhouse next to the posh Saturday Club. November 1993. I came to Calcutta to work for Mother Teresa – but Calcutta turned out to be so much more. I was 18 years old and I met a metropol filled with contrasts maintained especially by my wonderful landlady Susama. (She’d been professor in English at Rabindranath Tagore’s experimental outdoor university in Shantiniketan). She deeply disliked Mother Teresa. Today I can admit I understand her dislike somehow. I got to know Mother personally through some unfortunate coincidences: i got severe typhoid fever and was reconvalesent in one of her monasteries. What really opened my eyes this year was though Susama – and Satyajit Ray’s films (llustrated below by a poster from his film Abhijan) and Pasolini’s poetry. I got to know Pasolini through my dear Italian co-worker, rescuer-turned-into-nurse – and friend – Angelo.